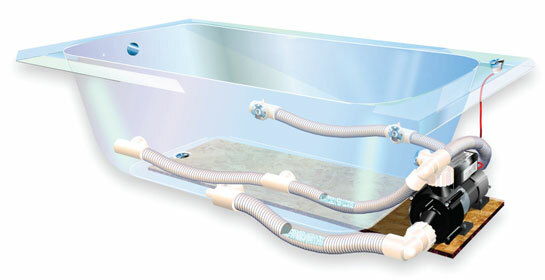 The biggest difference between a whirlpool bath and air bath is the type of massage it provides. 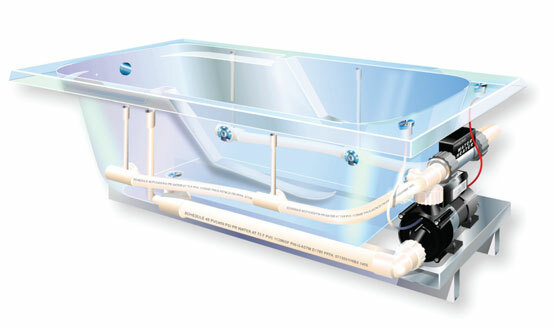 Whirlpool baths provide a high-pressure, aggressive deep tissue and joint massage. Whirlpools are often found in hospitals, athletic training rooms and physical therapy facilities. A whirlpool bath is extremely beneficial in treating muscle sprains, damaged joints, back problems and aches and pains that arise from time to time as we age. Both The New England Journal of Medicine and National Arthritis Foundation have recognized and endorsed the benefits of whirlpool baths (hydrotherapy) in the enhancement of circulation, which is very important to anyone suffering from the affects of arthritis and diabetes.